We look for inspiration everyday, in many places. I have read about achieving your goals, by placing them on a board, and looking at it daily. A place to organize your thoughts, where, what & how will you get to your next goal. The far off future goals too. 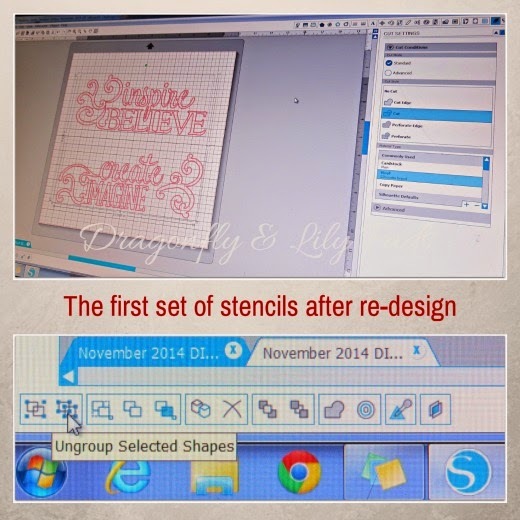 Now you can see where the idea for the DIY stenciled inspiration board came for this post. 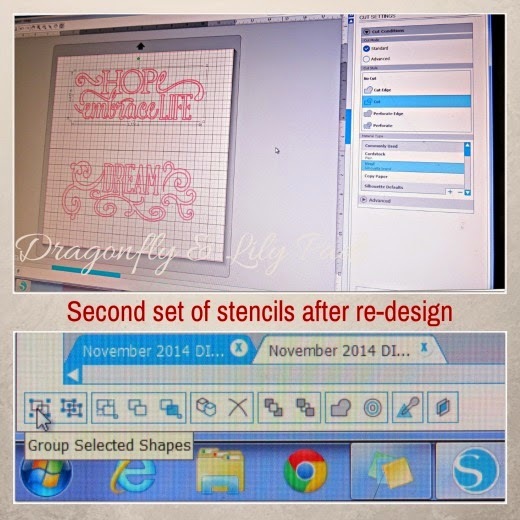 In my Fall Mod Podge Pumpkin post I mentioned buying two carts of goodies at +Michaels Stores. I bought several framed cork boards that were on a great clearance sale. To be honest I struggled with what would be the best approach to make this board inspiring. Then in a series of unrelated life circumstances, I was in Pompano Beach, FL. looking for document boxes with Prince Charming.The Office Depot was having a clearance sale because, they were moving. I found what I needed at the store 30% off and Gelio Gel pens for 50% off. Hmm. This would work on the cork board but, now what should I stencil? 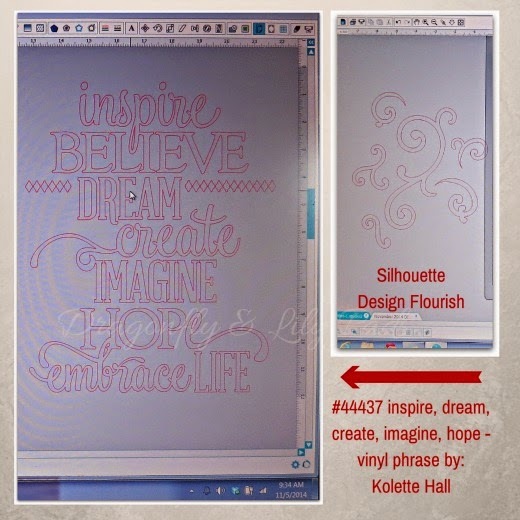 I chose the inspirational phrase by Kolette Hall and +Silhouette America Flourish design. First I un-grouped the phrase, sectioned them into the words I wanted together. Then I grouped them together again. as you see below. Next I un-grouped the flourishes added them to the phrase in strategic places. When I grouped each set of words and the flourish pieces I welded them together. I used vintage contact paper I found while cleaning our neighbors flooded basement. I used the Silhouette vinyl setting for the blade setting and double cut. This was my first time cutting vinyl so I was very nervous. I did not cut the word into sections with the Cameo. I just used scissors because, I was not sure where wanted to separate them on the board. I weeded out the words and placed the Glad Press and Seal over the stencils. Then I used a scraper to adhere the Press and Seal. Once it was on I carefully removed the backing to the contact paper and pressed to on the cork board. I used the scraper again to assure the stencil was placed securely and peeled back the Press & Seal. The gel pen gave me a deep rich color with no bleeding or leaking under the stencil. I did use a scrap of wrap between my hand and the board to keep the color from smearing. It was only in the side of my hand a tiny bit but, not on the board at all. 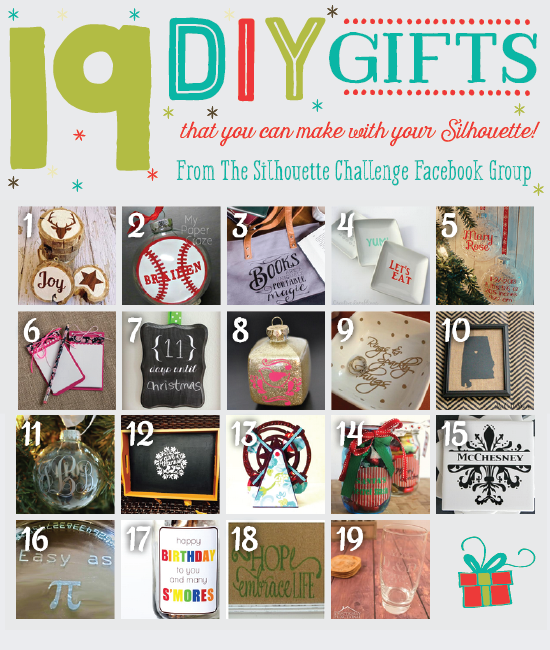 Here is a list of materials I used to create this DIY gift. #OperationCraftySpaceRevolution on Instagram. Now! It is not a secret anymore. Would like to join the fun? Post your before, or during picture on Instagram with the hashtag above, and virtually support each other while we prepare our craft rooms for the holiday rush. What goal would you put on your Inspiration Board? Please answer the question in the comment section. I would love to know what you dream for the future. 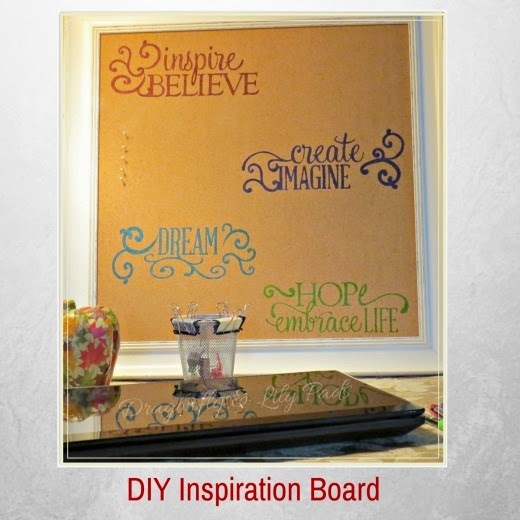 Your inspiration board is awesome! I love your designs and how you placed them on the board. I'll be watching your craft room progress for any pointers, mine is a disaster. What a cute and thoughtful gift! Good job! I love all the inspirational sentiments. The pin up board looks great and the gel pens really showed up perfectly against the cork. 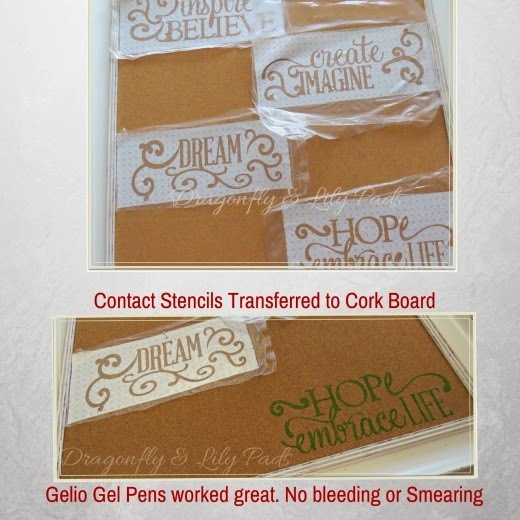 I have a cork board that hangs over my desk in my office and think this is a fabulous idea! Thanks for sharing! I am glad you love my Inspiration Board. You are so sweet to take time to comment. A little comment love feels so encouraging. You are my personal cheerleader and I thank you from the bottom of my heart. Tomorrow is a full day of #OperationCraftySpaceRevolution. Wish me luck. Carrie, Thank you for taking the time to comment. I am so glad you like the inspiration board. I am so glad you like my inspiration board. I am happy the way the gel pens color popped off the cork too. Thank you for visiting and stopping to leave such a nice comment. I think sharing is the best part of blogging. You are so sweet. I am sure yours does a great job for you. Thank you for taking the time to visit and leave such a nice comment. Great job. I love it!!! Beautiful project! Thanks so much for sharing at the Be. YOU. tiful link party! I am so glad you liked the project. Thank you for visiting. Please come by again soon. This is such a wonderful idea. I love it. I'll do some for my family. I think a simple wooden inspiration board is a good idea, too. 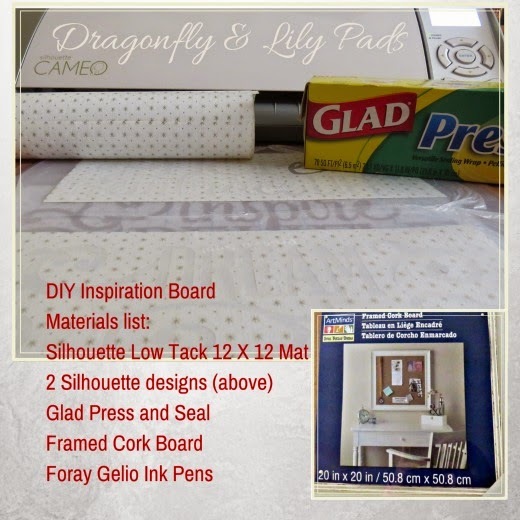 I think adding the stenciled wordings added a bit of flair in that inspiration board. Lovely design! I like your post. It was very nice.